Inferentialism is a philosophical approach premised on the claim that an item of language (or thought) acquires meaning (or content) in virtue of being embedded in an intricate set of social practices normatively governed by inferential rules. Inferentialism found its paradigmatic formulation in Robert Brandom’s landmark book Making it Explicit, and over the last two decades it has established itself as one of the leading research programs in the philosophy of language and the philosophy of logic. While Brandom’s version of inferentialism has received wide attention in the philosophical literature, thinkers friendly to inferentialism have proposed and developed new lines of inquiry that merit wider recognition and critical appraisal. From Rules to Meaning brings together new essays that systematically develop, compare, assess and critically react to some of the most pertinent recent trends in inferentialism. 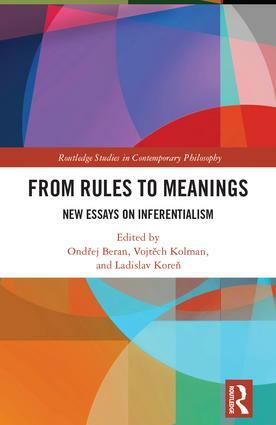 The book’s four thematic sections seek to apply inferentialism to a number of core issues, including the nature of meaning and content, reconstructing semantics, rule-oriented models and explanations of social practices and inferentialism’s historical influence and dialogue with other philosophical traditions. With contributions from a number of distinguished philosophers—including Robert Brandom and Jaroslav Peregrin—this volume is a major contribution to the philosophical literature on the foundations of logic and language. The book offers a comprehensive account of logic that addresses fundamental issues concerning the nature and foundations of the discipline. The authors claim that these foundations can not only be established without the need for strong metaphysical assumptions, but also without hypostasizing logical forms as specific entities. They present a systematic argument that the primary subject matter of logic is our linguistic interaction rather than our private reasoning and it is thus misleading to see logic as revealing "the laws of thought". In this sense, fundamental logical laws are implicit to our "language games" and are thus more similar to social norms than to the laws of nature. Peregrin and Svoboda also show that logical theories, despite the fact that they rely on rules implicit to our actual linguistic practice, firm up these rules and make them explicit. By carefully scrutinizing the project of logical analysis, the authors demonstrate that logical rules can be best seen as products of the so called reflective equilibrium. They suggest that we can profit from viewing languages as "inferential landscapes" and logicians as "geographers" who map them and try to pave safe routes through them. Current views of the nature of human mind, which can be found within cognitive science or philosophy of mind, oscillate between two extreme positions: one of them is the view that mind is simply a functioning of the bgrain; the other is that the mind as a space containing thoughts feelings etc. is merely a metaphoric picture, it is a construct that results from our "interpretational practices". These views appear to contradict each other; and yet each of them seems to be in some respect true: it appears indubitable that the mind is somehow real and that it is a functioning of the brain; and yet it seems also that our normal talk about mind refers to something that tangibly occurs nowhere. In this book we defend the view that these two views are compatible; and thus that we may (and we should) accept the view that what we call mind, though we have constructed it, is an utterly real entity. The book provides a comprehensive account of philosophical problems associated with developing tools for the logical analysis of prescriptive discourse and building systems of deontic logic. It presents a historical survey of the investigations that belong to the area and focuses on the key question which is related to the fact that prescriptive sentences or utterances – commands, regulations, instructions, permissions etc. - are not truth bearers and hence seem to fall outside of the traditionally conceived domain of logical studies. The central chapters show that Lewisian language games in which the Master, the Slave and the Kibitzer take part can provide a suitable framework for the logical study of prescriptive language. They also focus on conceptual problems of prescriptive discourse, put forward an original ontological foundation for the studies and address problems of the 'kinematics' of commanding and permitting. Bolzano's study "On the mathematical method" contains a concise summary of the most important theses of Bolzano's highly original conception of logic, provides interesting insights into the foundations of mathematics and also presents some relevant methodological instructions concerning the presentation of scientific research. Bolzano's study has been translated into English and French; this volume contains the first Czech translation. The translation is preceded by an introductory study written by Marta Vlasáková. The study concentrates on two of Bolzano's novel ideas which are not (unlike many of his other important innovations) adopted by the present day mainstream logic – namely a substitutional interpretation of quantification and the intensional analysis of concepts. These ideas, which are accepted by some non-standard logical systems, could serve as an inspiration for further developments in logic. After evolution theory has been established as a more or less unifying framework of contemporary life sciences, and after this theory has been finding its way into social sciences as well, scientists are facing the problem of understanding the ways in which evolution might have given rise to us humans, creatures is no many respects dissimilar to other animals. What is now in the focus of attention is the question of the evolutionary explanation of the emergence of cooperation. The book points out that this problem is closely connected with the problem of emergence of rules, though rules amount to incomparably more than mere "instinctive" cooperation; the claim is that rules are what has made it possible for cooperation to be projected into our very nature and to make us rational, talking and cultural creatures. This volume sets out the foundations of Transparent Intensional Logic, together with many applications to a wide range of topics including formal semantics, philosophy of language, and philosophical logic. Special attention is devoted to some topics that generally tend to be dealt with only in passing. They include, inter alia, notional attitudes, knowing whether, concepts (understood rigorously and non-mentalistically),attitudes de re, and anaphora in hyperintensional contexts. J. Peregrin (ed. ): Logika 20. století: mezi filosofií a matematikou. 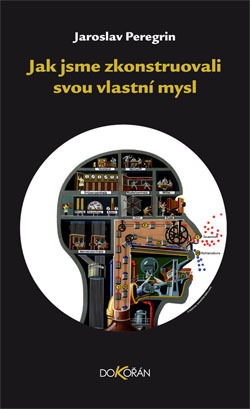 n this book (which is a reworked English version of my Czech 'Význam a struktura') the author argues that recent and contemporary (post)analytic philosophy, as developed by Quine, Davidson, Sellars and Brandom, is largely structuralistic in the very sense in which structuralism was originally tabled by de Saussure. He reconstructs de Saussure's view of language, link it to modern formal logic and mathematics and reveals close analogies between its constitutive principles and the principles informing the holistic and neopragmatistic view of language put forward by Quine & comp. He also indicates that this view of language is not incompatible with formal approaches to semantics.